COMPREHENSIVE DEVELOPMENT - MG Design H.K. Ltd. The commercial development will comprise of 6 cinemas at the top storey, restaurants at the second storey and an office tower of about 12,000 sq. m. situated at one end of the shopping centre. 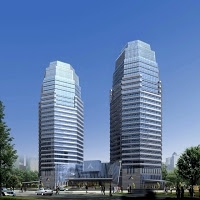 The development is located in the downtown district of HCMC, right along the busy Nam Khoi Mghia Street. The G/F and 1/F will be used for shopping mall, the 2/F to 9/F will be for office use and the 11/F to 33/F will be for built for residential use. The Project is located near to Tonle Sap River, consists of 3 residential towers, 1 office & serviced apartment tower, a 28,000sq.m. shopping mall and 4 storey of carpark. The site is adjacent to the Saigon River with excellent views of the river. The project consists of two 30-storey high residential blocks, a 3-storey high shopping centre and a 10-storey high office tower. Consists of public transport facilities for franchised buses, light buses, taxis & private cars with interchange facilities with the KCR WKS Station. The development is located adjacent to Saigon River with 8 towers of 34 storey residential tower, 2 numbers of 40 storey office tower, a big shopping mall, 124 houses and a school. 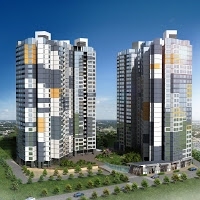 Saigon Pearl Phase IIINguyen Canh Street, Ward 22, Bink Thanh District, HCMC, Vietnam. 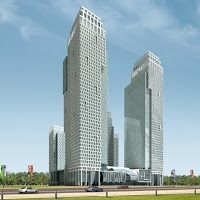 The Project is located near to Saigon River, consists of 2 residential towers, 1 four-star hotel tower, 1 office tower, 1 serviced apartment tower, a 40,000sq.m. shopping mall and 2 storey of basement carpark. The commercial development comprises of office use of GFA 180,000sq.m., serviced apartments of GFA 75,000sq.m. on top of a 92,500sq.m. shopping mall. 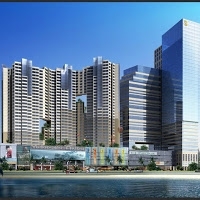 Residential and Retail Development at Thao Dien 12, Quoc Huong St. Thao Dien ward, District 02, HCMC, Vietnam. 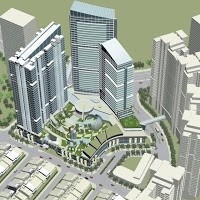 The Project consists of 2 phases, total of 8 residential towers and shopping mall. 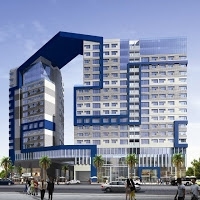 The commercial development comprises of office use of GFA 59,510sq.m., serviced apartments of GFA 20,000sq.m. on top of a 13,810sq.m. shopping mall. Vietnam Residential Development with Offices and Shops District 12, HCMC, Vietnam. 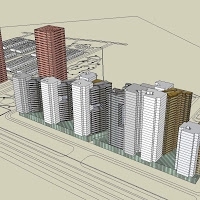 The residential development comprises of residential area of GFA 32,890sq.m., offices area of GFA 3,289sq.m. and shops area of GFA 6,578sq.m. 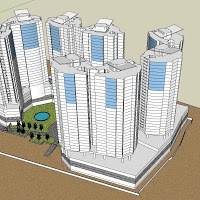 The project consists of 13 residential towers and one 4 story shopping mall. MG Design (Hong Kong) Limited © 2013.